Pet Universe was established in 2005 by Svetlana Broussova and it is now widely regarded as one of the most professional and caring Cat & Dog Grooming Salons in East London and Essex. Svetlana’s sensitivity, knowledge and awareness of her profession is the result of many dedicated years of training and experience, accompanied by an in-depth understanding of animal behaviour and the specialised requirements of different breeds. 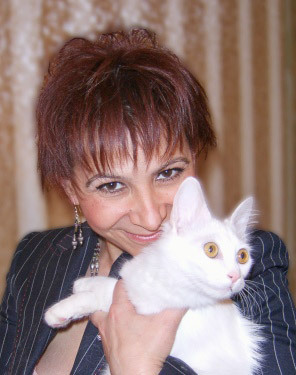 For more than 20 years, Svetlana’s dedicated enthusiasm has helped create a foundation of excellent professional cat and dog grooming techniques. She specialises in cat grooming and has established an international Cat Grooming School, where she passes on her knowledge and expertise for the benefit of future generations of groomers at home and abroad. At the Salon, Svetlana and her team take pride in the high standard of service they are able to offer their clients. It is of the utmost importance to the team that your pet is happy and relaxed. Therefore, on your visit, you can expect to find a highly efficient, safe and relaxed atmosphere to which you can entrust your pet. You will feel reassured that your pet is in the hands of qualified professionals who are perfectionists in their field and who work with joy, compassion and love for the animals in their care. Pet Universe is easily reached from the main roads – A12, M11 and A406, leaving the Woodford Avenue at Clayhall Avenue.